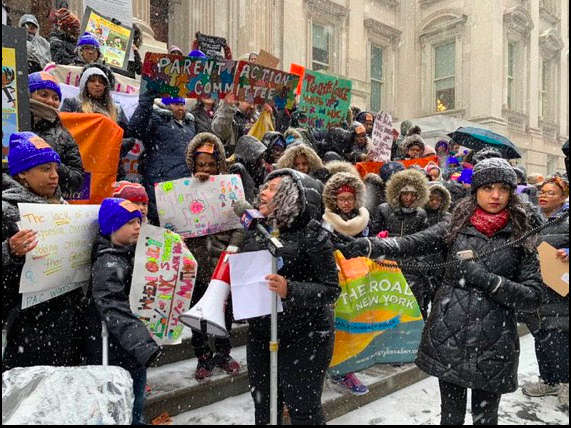 All New York City Children Deserve Culturally Response Education! As parents, we want our children to graduate from high school prepared for college and careers and lives of learning and leadership. While NYC schools are some of the most culturally and linguistically diverse in the nation, with 180 languages spoken, enormous achievement gaps remain. Many destructive forces contribute to these unacceptable outcomes, including the ways that systemic racism, overt and implicit bias play out inside schools. In order to help students achieve their goals, improve outcomes for all students and create oases from racism, sexism, xenophobia, Islamophobia, homophobia and other biases, the NYC school system needs Culturally Responsive Education. 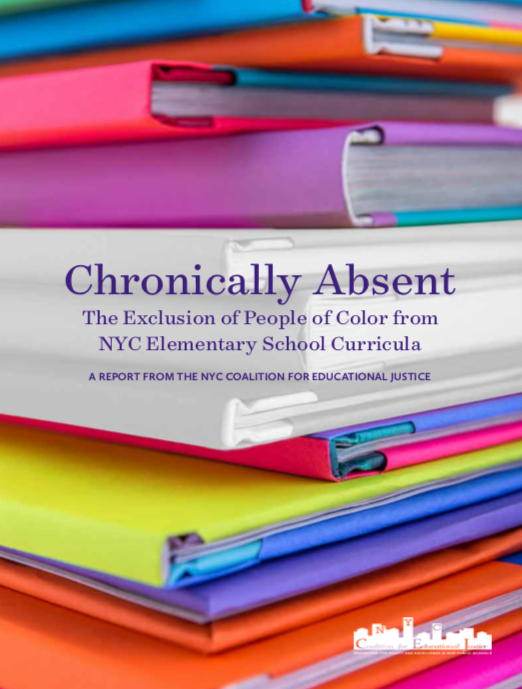 On February 20th, CEJ released a comprehensive report on the lack of representation of students of color in NYC’s elementary school curricula, and called on the NYC Department of Education (DOE) to create Culturally Responsive Curriculum in New York City schools. The city has committed publicly to increasing diversity and integration in public schools, but has not addressed the absence of authors and characters of color in the curriculum. CEJ’s new report reveals the depth of the lack of representation, diversity and inclusivity, through the evaluation of more than 700 books across three commonly-used book lists and seven K-5th grade English Language Arts (ELA) curricula. Click here to read CEJ’s press release. Click on the links below for additional media coverage of February 20th’s rally announcing the release of the report. “Black and Hispanic Authors and Characters Missing from NYC Schoolbooks: Report,” New York Daily News. “Advocate Groups Protest Cultural Disparities Taught in Grade School Literature,” New York 1.